Mouse anti human ARAF antibody recognizes serine/threonine-protein kinase A-Raf, also known as oncogene ARAF1, Ras-binding protein DA-Raf, proto-oncogene A-Raf-1 or v-raf murine sarcoma 3611 viral oncogene homolog 1. 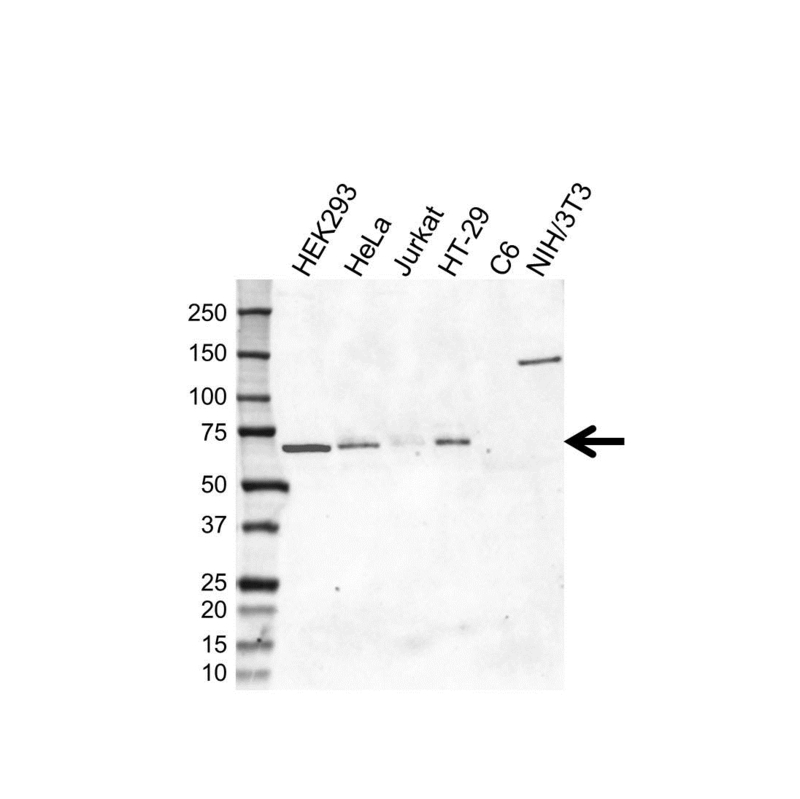 This antibody has been validated for western blotting using whole cell lysates. Mouse anti Human ARAF antibody recognizes the serine/threonine-protein kinase A-Raf, also known as oncogene ARAF1, Ras-binding protein DA-Raf and v-raf murine sarcoma 3611 viral oncogene homolog 1. This proto-oncogene belongs to the RAF subfamily of the Ser/Thr protein kinase family, and maybe involved in cell growth and development. Alternatively spliced transcript variants encoding different isoforms have been found for ARAF (provided by RefSeq, Jan 2012). Mouse anti Human ARAF antibody detects a band of 68 kDa. The antibody has been extensively validated for western blotting using whole cell lysates.